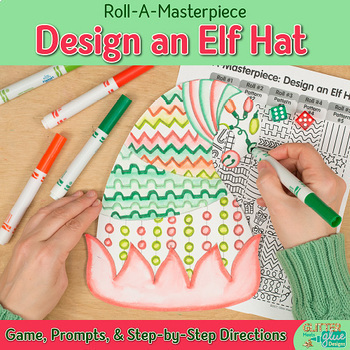 Decorate your bulletin board with these creative elf hats, ugly sweaters, and Christmas ornaments and stockings. 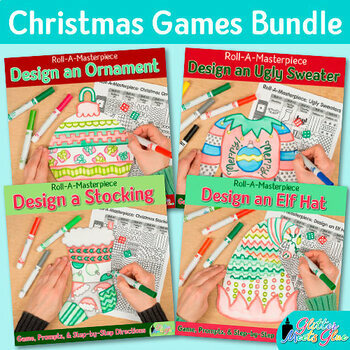 Fill up your art sub plan folder with no-prep, fuss-free art projects that work well with other Christmas activities. 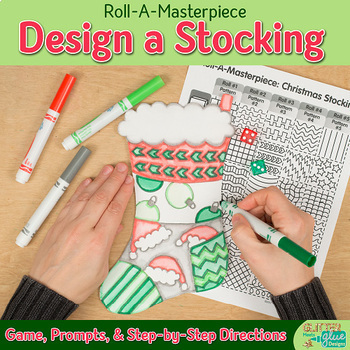 Pair these directed drawing games with the included writing prompts to make a great display. These games are perfect early finishers activities because they give students the structure to work independently. Great for classroom teachers wanting to "paint" on a dime using markers like paints but can also work simply using colored pencils, crayons, and markers. 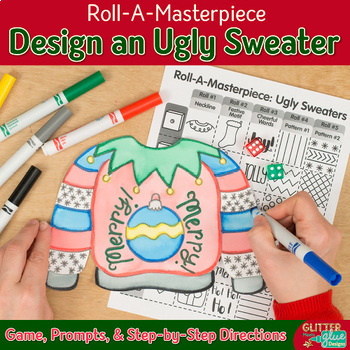 Simply print out the game and picture directions back-to-back, give them dice, and watch them have fun creating their own art project.